Will Durant rightly said ‘You are what you are because of what you’ve been’. 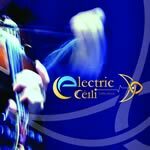 Well the collective footprint of Electric Céilí leaves a deep impression indeed. Within it, decades old traditional melodies are married to modern funk, rock and soul. Their debut album is a stunning collection of Irish traditional tunes that draws a clear line from then to now. A sound unconsciously ignoring those folks too caught up in the rules of heritage and preservation to allow themselves to feel, or dance, or have fun. But let’s be clear. This is not some trad fusion schlock. For this group and debut album, Tim Murray (Electric Céilí 's founder and guitarist) has gathered together a remarkable set of musicians. Gary Roche, Daire Bracken and Barra Mc Allister make up a powerhouse melodic trio of pipes, fiddle and flute respectively with Murray’s sublime acoustic triplets and stomps at its rhythmic centre. Add in keys virtuoso Peter Eades along with ex Clannad drummer Paul Moran, and the effect is quite something. At various intervals the band introduce rhodes, clavinet and hammond to the mix and give us a lesson in furious Gallic energy and technique without ever letting go of the spirit. Controlled energy instead of misplaced anger. The melody and fluid rhythm is inspired. In Ireland, the nuances of Irish traditional playing styles and technique can vary greatly from region to region. Occasionally within miles. With a band demographic that spans Tipperary, Dublin and Cork this group of musicians seem to understand the influence of their birthplace, their heroes, their own musical style and know when to simply pay homage to it. With tunes of this legacy there is a slender line between re-interpretation and respect. Electric Céilí draw it eloquently. These six accomplished musicians have a love for Irish Traditional Music and always give 110% energy at each performance that is relentless and very exciting. They grab the audience from the very first beat right to the end. There's a world of experience and professionalism throughout the group as they have all recorded and toured with some of Ireland's best names in the business! We promise to keep your data private and we won't bombard you with emails.